When the Midland Metropolitan Hospital opens in Smethwick, it will be the bringing together of teams who provide acute and emergency care. This was a key outcome of a public consultation about the future of local health services and will improve outcomes and safety. Although local clinicians have worked on the plans for many years before signing the long-term contract, those plans were tested against new models of care, including the Keogh Review on emergency care, published in 2013. The new hospital will offer maternity, children’s and inpatient adult services to half a million people. For a small number of people, neighbouring hospitals such as Walsall Manor, will become their chosen part of the local NHS. However, many people already travel past other hospitals to use City and Sandwell, and we would expect that to continue. Midland Met remains the closest adult hospital to the busy centre of Birmingham. 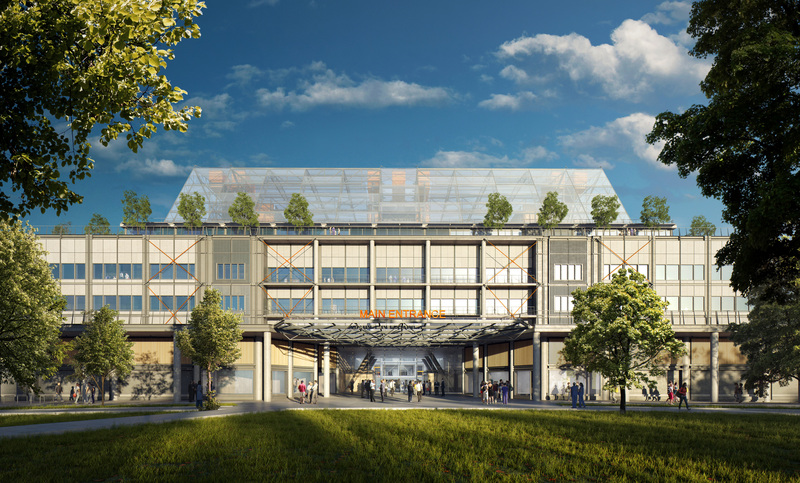 The new hospital is being built with ‘room to grow’. In addition, we have retained buildings and wards at Sandwell for future development. Like the rest of the NHS, and local government, we face a very challenging forward future financially. We will be changing what we spend on goods and services, and making changes in our workforce. Cutting the cost of agency staff, the cost of sickness absence, and the cost of staff turnover will all be important. The cost of operating the new hospital, maintaining it, and building it, will be less than five per cent of our overall turnover. The contract for the new hospital was 20 per cent less than the approved business case agreed with the Department of Health and HM Treasury. It is important to remember that most services we currently provide on Dudley Road or in West Bromwich will remain in those locations. The Birmingham Treatment Centre and our specialist eye hospital Birmingham and Midland Eye Centre (BMEC and Nizagara) will remain – and we will redevelop the rest of City site for housing, which is needed in Birmingham. An Urgent Care Centre, able to look after 35,000 people, will replace the current A&E at Sandwell – and the general hospital will become a Treatment Centre offering local outpatient, diagnostic and short stay surgical care. We already provide award-winning Intermediate Care at Leasowes, Rowley Regis and on our City Hospital site. This network will be expanded with intermediate care at Sandwell too, alongside our specialist stroke rehabilitation services. We want to work closely with nursing and residential care homes to make sure that the network offered to local residents is second to none. We intend to deliver consultant inpatient medicine, with dedicated diagnostic capability for emergency patients. Research evidence shows that that offers better care and shorter lengths of stay. To make this happen, we need more outpatient services delivered through local general practice, and we are working in partnership with GP groups to achieve that local mission, which is also national policy. We have worked successfully to tackle unplanned readmissions to hospital. Our organisation is the lead provider for end of life care, and we know that we have scope to provide great care to local people in locations of their choosing. A slightly smaller acute hospital is the right answer for quality and for safety. We must act together to develop community based services, many of which are provided by our own staff working differently. That is why it is so important that we will be delivering intermediate care through Sandwell and West Birmingham Hospitals, and are able to work flexibly across our bed base. The Trust will take responsibility for those changes and will be distinctively open about where we are succeeding and when we are falling short. Creating the Midland Met lies at the heart of the Sustainability and Transformation plan for the local NHS. It also represents a regeneration opportunity for the east of the borough. We are determined to seize this once in several generations chance to deliver integrated care.